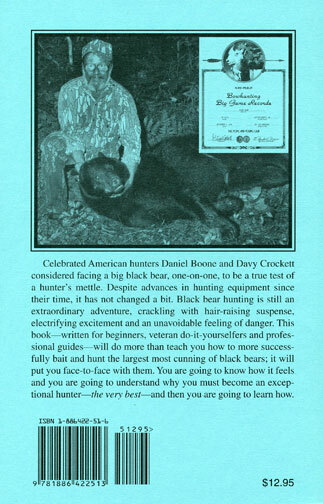 Do-It-Yourself Black Bear Baiting & Hunting, Revised 2001 Edition: a guide to hunting trophy-class black bears. Until now, there has never been a book about black bears and how to hunt them that could compare with Dr. Nordberg's original bear book published in 1990. Awarded a five-star rating by Amazon, it is used by state hunter education instructors, professional guides, experienced bear hunters and first-time bear hunters throughout North America. 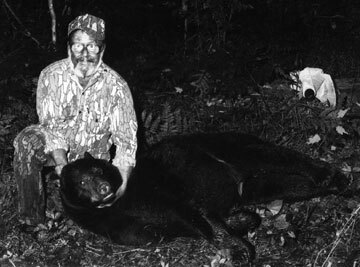 It has enabled countless hunters to take trophy-class black bears weighing 300-600 pounds or more. After selling out in 1998, the demand for this book increased, hunters paying as much as $20-50 for a one book on eBay. 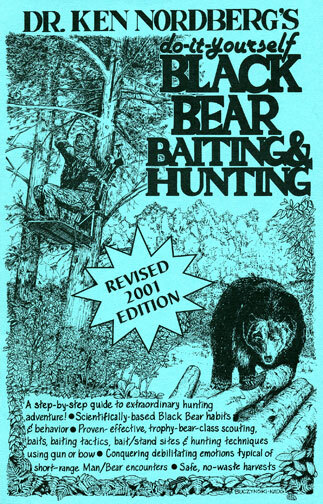 Rather than reprint the original book, for the following three reasons Dr. Nordberg decided to write a new, revised edition: 1) adult black bears are becoming more wary of bait/stand sites made by humans, 2) crowding and competition between bear hunters is increasing and 3) Dr. Nordberg is anxious to share new and improved baiting and hunting tactics developed since 1990. John Nordberg -- Look carefully at the cover illustration. Notice the angle of the hunter to the bear. That is one of the keys to this book. Dr. Nordberg doesn't just get you out in the woods to hunt black bears, he shows you exactly how to plan for and get that perfect shot. The best new tip in this version, is critical, is called "Positioning Bait." All Black Bear Hunters need to know about Positioning Bait. What a genius refinement to an already great technique! The only other thing that I can add is, look at that table of contents! 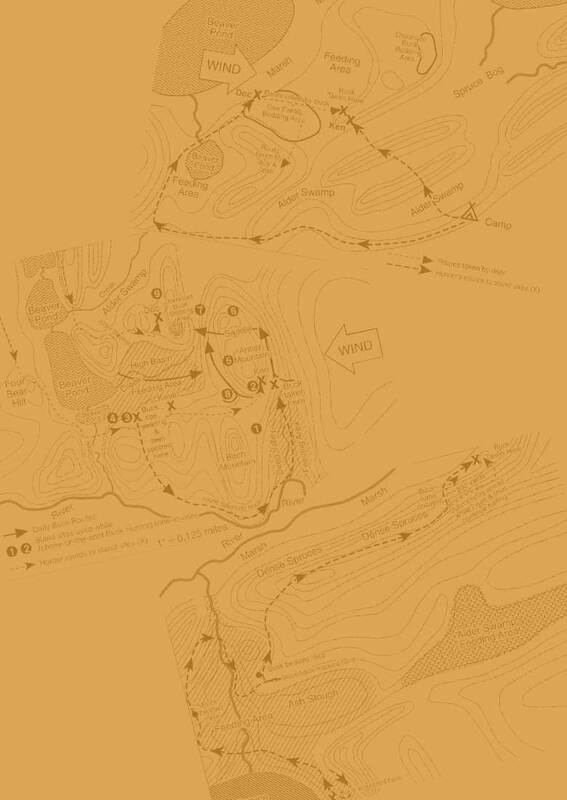 Every step, every detail, from start to finish is explained in a logical order. Can't beat it! New! For More info on Trophy Bear Bear Hunting School DVDs . . .